One-on-one or two-on-two Rider melee action. 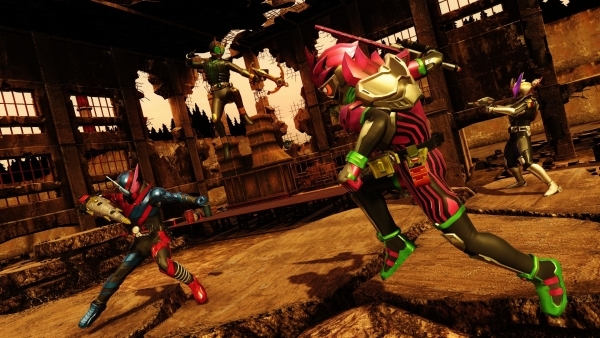 Bandai Namco has released the first trailer, information, and screenshots of its recently announced melee action game Kamen Rider: Climax Fighters for PlayStation 4. Rider vs. Rider. The battle to determine the strongest Rider happens here! A new melee action where individual Riders collide in battle. A mass gathering of the Heisei Era Riders, from Kamen Rider Kuuga to Kamen Rider Build. One-versus-one and two-versus-two battles for up to four players. Enjoy never-before-seen, full-blown battles with third-person melee action. The flat stages of previous games have evolved to stages with elevation and obstacles. Use each individual Rider to their full potential. 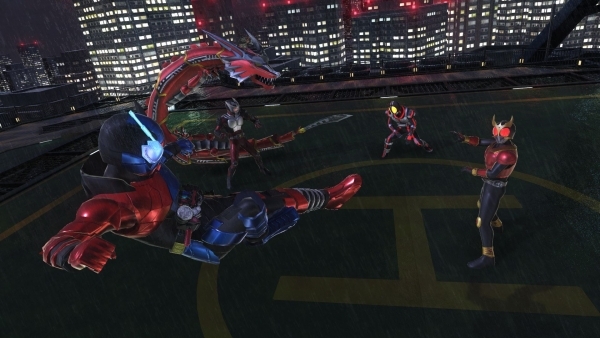 The first-ever online battles in a Kamen Rider game. 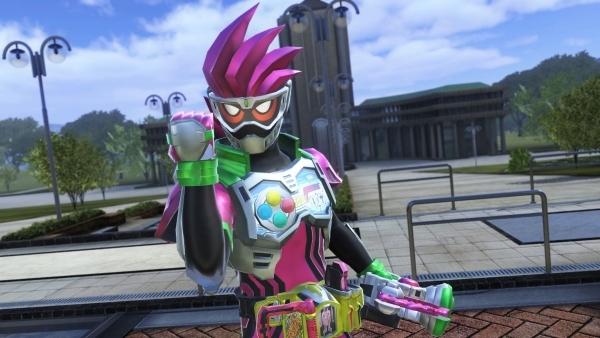 And the first time a Kamen Rider game will be released in Asia, allowing Rider fans across the sea to determine who is strongest. The limited production “Premium R Sound Edition” (11,100 yen plus tax), which will only be produced until the end of February 2018, will include 38 songs made up of theme songs and in-show songs from the television series as in-game background music. Early purchases of the Premium R Sound Edition will include a set of seven special design clear sheets and a special box. 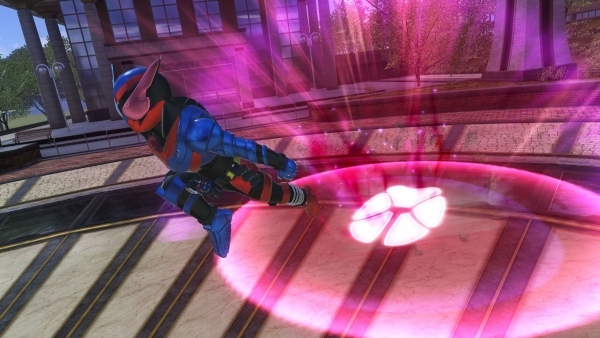 Both users who purchase the standard edition (7,600 yen plus tax) of Kamen Rider: Climax Fighters or the Premium R Sound Edition will receive a PlayStation 4 original theme.